Portharcourt went agog on Saturday 22 March 2014 with Paul Okoye of P-Square and Anita Isama’s Traditional Wedding at the Aztech Arcum centre in Portharcourt, Rivers State. It recorded one of the highest gathering of different Nigerian celebrities from far and wide. 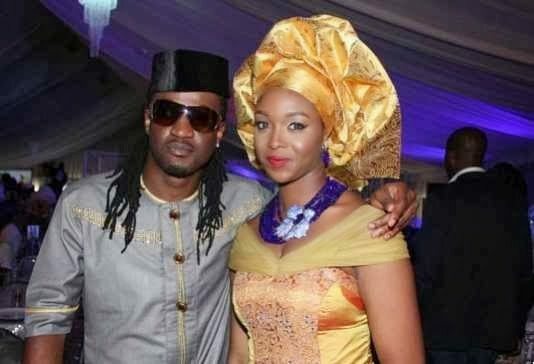 The stars came out in full force for the wedding of Africa’s biggest performing duo, P-Square. The wedding of Paul Okoye and Anita Isama was attended by all the famous names in Nigerian entertainment industry, and the colors were all in sync with the theme of the wedding. The captivating and breath-taking decoration was done by Omu Obilor of Luxury Event Planner. Guests were transported into a fantasy wedding wonderland that was every bit as tasteful and romantic as the couple. Peach, cream, silver, and gold were the colours of the day and the Wedding guru did a fantastic job with the decor. People from all walks of life were there to grace the occasion. The guests included celebrities – from Nollywood, musicians, media personalities, politicians, etc. Uche Jombo, among many others. Paul met Anita at the University of Abuja in 2004 as a final year student while she was a freshman. According to Paul, he had gone to visit a girl he had a crush on where he met Anita who was also visiting. They exchanged numbers and the rest is history. The couple got engaged in September 2013 after welcoming their first child Andre four months earlier – 11 April 2013 in Atlanta, Georgia. Speaking on how Paul popped the question, Anita said he took her to a jewelry store and asked her to pick any diamond ring of her choice and right there he dropped on one knee and popped the question. The following year, the couple held their court wedding in Ikoyi. Paul revealed in an interview that Anita’s father didn’t quite like him initially probably due to his dreadlocks and earring but that they are now best of friends. Here we bring you the adorable photos of Paul Okoye of P-Square and Anita Isama’s traditional wedding. P-Square is a Nigerian R&B duo made up of twin brothers – Peter and Paul Okoye. Their journey into music began at St. Murumba secondary school, Jos, Nigeria. Paul and Peter joined the school’s music and drama club where they began mimicking the likes of MC Hammer, Bobby Brown and Michael Jackson. In 2001, after winning Grab Da Mic competition, Benson & Hedges sponsored the group’s debut album, titled Last Nite, same year, the group was nominated as the Most Promising African Group at the Kora Awards, three months after the release of their debut album. Their second, third, and fourth albums followed. Their best selling album so far has been Game Over. It has sold 8 million copies worldwide. However, the duo has since moved on to carve a niche for themselves separately after an ugly family tussle that tore them apart. They have since released solo albums, Peter now goes by the name Mr.P while Paul is now RudeBoy.